CJ Logistics will take active part in supporting humanitarian exchange. 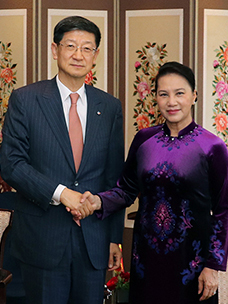 The company successfully transported goods for the ‘21st inter-Korean family reunions’ that was resumed in about three years thanks to the April 27 inter-Korean summit and Independence Day on August 15. CJ Logistics (CEO Park Geun-tae) said on August 21 that it would transport goods necessary for the reunion, which would be held from August 20 to August 22 (1st reunion), and from August 24 to August 26 (2nd reunion), on two trips to the venue of the meeting, i.e. Geumgangsan in North Korea. On August 18 and 19, CJ Logistics carried the goods, kitchen utensils and food products, which would be used for the reunion from Goseong, Gangwon-do, and on the morning of August 20, the company transported, by land, the personal items of more than 200 members of the families from Sokcho to the Geumgangsan family reunion center in North Korea. For successful logistics of this event, it introduced 10 vehicles, including 5-ton and 11-ton wing-body trucks, and 20 workers, and provided training regarding safety and visits to North Korea for operators and workers. 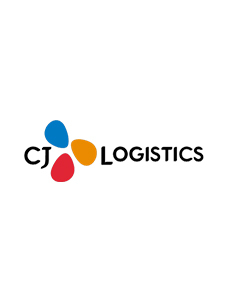 CJ Logistics first began to transport the goods necessary for the 1st separated family reunion, which was held on August 15, 2000 in Seoul and Pyeongyang, and most recently, it carried goods for the 20th reunion, which was held at Geumgangsan on October 2015. CJ Logistics is thought to have the deepest experience and know-how in transporting goods to North Korea among domestic logistics companies. Having started with transportation of 150,000 tons of rice to support North Korea in October 1995, the company carried the building materials for the construction of the Korean Peninsula Energy Development Organization (KEDO) nuclear power plant, fertilizer, the roof tiles for restoration of Yeongtongsa Temple in Gaeseong, the relief supplies for the victims of the explosion at Yongcheon Station, Pyeonganbuk-do, the goods necessary for flood recovery in North Korea, and the goods necessary for the Korean summit and the reunions. It has accumulated a great deal of aptitude and experience. 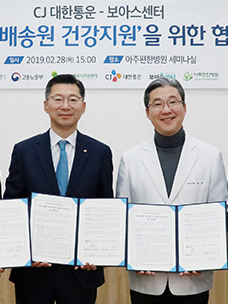 In particular, as the mood about reconciliation is ripening on the Korean Peninsula, if inter-Korean economic cooperation kicks into high gear, it seems that the Northeast Asian logistic network of CJ Logistics will be further reinforced. If the land routes in North Korea are opened, it will be possible to form a new logistic network including mainland China and the Russian Far East. Last May, the company launched the international multimodal transport service Eurasia Bridge Service (EABS) using Train China Railway (TCR) and trucks for transporting cargo, accelerating north-bound logistics. Also, last March, CJ Logistics entered into an MOU with a Russian logistics company, FESCO, for strategic collaboration and joint business development, and agreed to cooperate, and in May, the company opened a flagship center, equivalent to 14 soccer fields, in Shenyang, the largest city in Liaoning Province, China, expanding its logistic network in the three Northeastern Provinces.